Artichokes (Cynara scolymus) are striking plants that are both beautiful and useful. The arching soft grey green leaves and huge vibrant purple thistle flowers make a dramatic statement and add structure and contrast foliage. 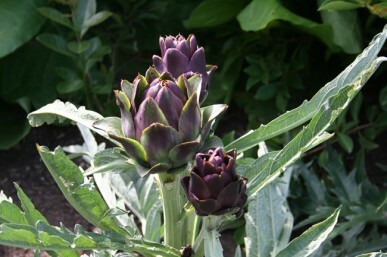 But they do take up a lot of space so make sure you’ve got plenty of room before planting. These short lived perennials are native to the Mediterranean region and take about 6 months from planting until they produce flower buds. The most readily available cultivars are Green globe, Violetta and Imperial Star. I have hundreds of gardening books in my library but only 20 or so on the ‘can’t manage without’ shelf. 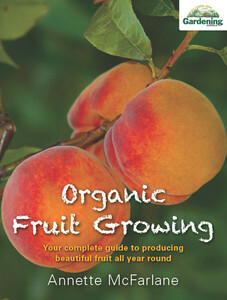 Organic Fruit Growing is going straight onto that shelf (Annette’s earlier book Organic Vegetable Gardening is already there). There are sections on getting started, easy fruits to start with and preparation, planting, pruning, pests, pollination and propagation. Then the A-Z with all the common fruit but also babaco, carambola, chocolate pudding fruit (tantalising? ), granadilla, ice-cream bean, native limes, longan, pepino and vitamin C tree. How can you resist? Many of those I’ve just listed do best in regions with warm wet summers, but with strange things happening to our climate, who knows what we may soon be able to grow further south. I love Annette’s books because there is so much original material, written from personal experience. 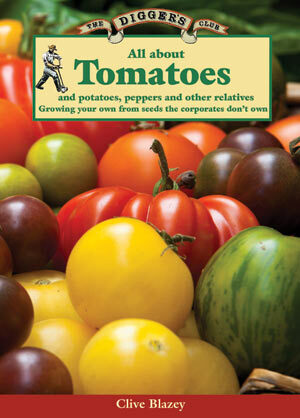 Whether you are a beginner or an experienced garden, this is a must have gardening book. Borrow it from your library, buy it from your local independent bookshop or go to Annette’s website to link to other Australian websites that sell the book. Across southern Australia this week, gardeners are watching their tomato seedlings anxiously and hoping this season will be better than last. 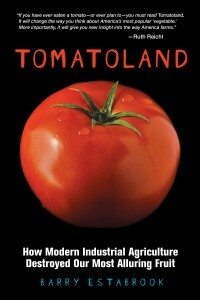 But I’ve been reading “Tomatoland”, by Barry Estabrook, and I will never look at a tomato the same way again. 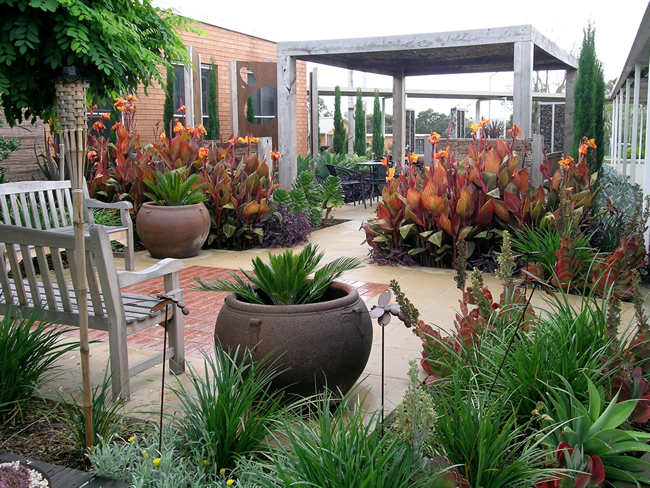 Horticultural therapist and garden designer Steven Wells has a passion for connecting people with plants for their health and well being. He has successfully blended this passion and his careers to positively impact the lives of those within healthcare settings. Steven combines these careers within Austin Health, having established and now coordinating the Horticultural Therapy Program, alongside his nursing career and also designing and implementing the successful therapeutic gardens. Now one of his gardens has been short listed for an award in America. The Healthcare Design Magazine Remodel/Renovation Competition in America invited submissions for recently constructed Emergency Departments and Respite Areas. 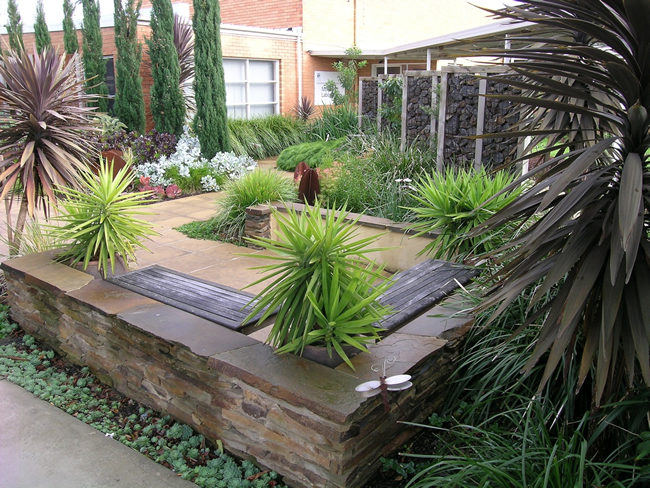 ‘The Garden Rooms’ at the Royal Talbot Rehabilitation Centre, Melbourne, is a finalist in the ‘Respite Area’ category. The design intent of this garden was to create intimate spaces for patients and their families to foster ‘normalizing’ moments for them during their hospitalization and to provide staff with places of respite too. Staff, patients and families were informally involved during the design stage. Patients, staff and volunteers helped to plant the garden, with various plants having been propagated by patients in the horticultural therapy program. It would be wonderful if this inspirational garden won this prestigious award. You can help by voting. To vote for the garden, use the link below. You’ll need to vote for PART 1 first, which is the Emergency Department Area, and after submitting your selection you will be automatically directed to PART 2 of the voting process: Respite Areas. Comments can also be added.